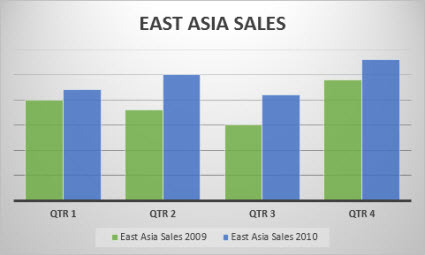 In your email message, click Insert > Chart. 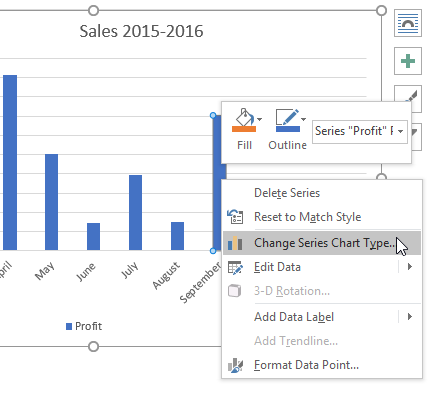 In the Insert Chart dialog box, click Column, and pick a column chart option of your choice, and click OK.
Excel opens in a split window and displays sample data on a worksheet. Replace the sample data with your own data. 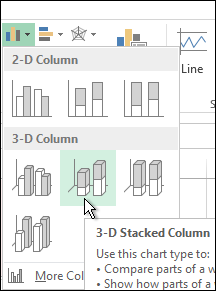 Note: If your chart is not reflecting data from the worksheet, make sure to drag the vertical lines all the way down to the last row in the table. 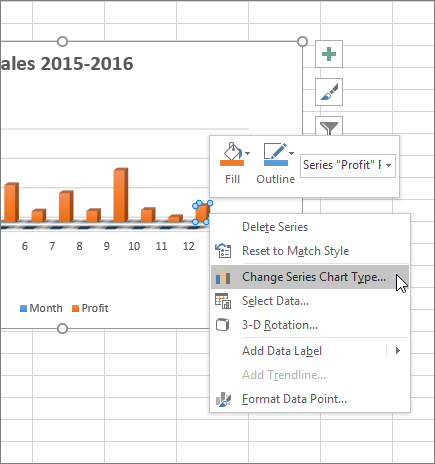 Click the Edit Data in Microsoft Excel icon on the Quick Access Toolbar. 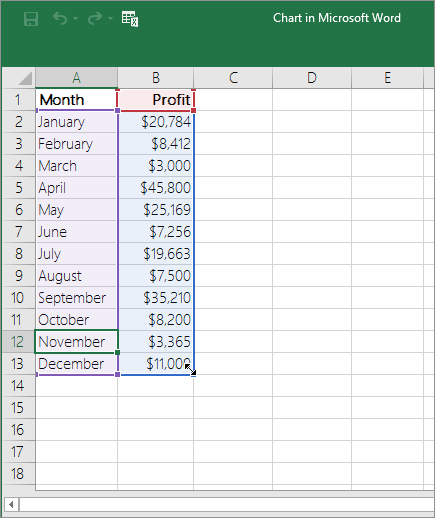 The worksheet opens in Excel. 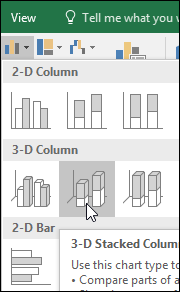 Tip: To reopen the worksheet, click Design > Edit Data, and select an option.